As real estate professionals, we want to be able to provide our clients with technology that we ourselves would find helpful if we were in their position. This is where mobile apps come in handy. But the truth of the matter is, that sometimes, the big scale mobile apps can make it hard for real estate agents and their properties to be seen. Oftentimes, you get lost in the mass listing shuffle. Here is some insight into the downfall of listing your properties with large scale apps. Realtor.com is one of the most popular real estate app services out there. The downside of the statuses is that they aren’t updated as regularly as they should be. There are have been client accounts of homes that had sold taking at least two weeks or more to be updated on the website as “Sold.” This can be very misleading for potential homebuyers and agents. The Zillow.com app is not nearly as correct or up-to-date as Realtor.com. Most of the information is correct, but there are several instances of incorrect prices and phantom properties, as well as properties on the market that Zillow didn’t report. Consumer accounts of Zillow listing homes that aren’t even for sale (or planning to go on sale) are prominent online. Now, whether instances like that are gossip or simple myth, we’ll probably never know for sure. Unfortunately, Truilia.com is one of the worst mobile real estate apps for consumers. Not only does it contain outdated information, but real estate search results are slow moving. According to BiggerPockets.com, “When a property is listed for sale it hits the local MLS in a matter of minutes, usually about 15, but can take as long as 9 days to populate to nationally syndicated sites according to studies on the subject.” 9 days is a long time when you’re trying to help clients find homes. By the time the potential property finally shows up on the website, it could already have been swooped up by someone else. If you’re a real estate professional who is seriously looking to engage clients this holiday season, we’ve got a great option for you. Here at SnApp Real Estate, we are an experienced real estate mobile app development company that promises to build you high performance (and truly great) real estate mobile apps. What makes our product unique is that it is personalized for yourself and your business. This means you nor any properties will get lost in the shuffle. 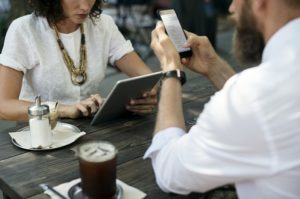 These apps will help you streamline your business and connect with clients easier. Take advantage of our easy to use and customize application technology. This entry was posted in app development company, Mobile apps for real estate agents and brokers, SnApp, SnApp Real Estate and tagged app development company, Mobile apps for real estate agents and brokers, snapp, SnApp Real Estate. Bookmark the permalink.